Backpacks are used for a wide range of activities. They can be used to carry belongings when walking to school, camp, work or a long hike to the top of the mountain. Hiking backpacks are always a convenient way of carrying your items whenever on a hike. The mere ability to carry them on your back with the entire weight of the contents evenly distributed over your shoulders gives them very many advantages over other bags and makes them long-standing favorite outdoor gears for carrying personal items. A good backpack should be easy on your back and shoulders. The straps should have some paddings on the shoulders otherwise the straps will bruise and leave your shoulders sore. The handles should also have some soft padding for maximum comfort on the palms. A backpack should be carried mainly on the back not supported by the hands unnecessarily. It should fit firmly on your back without extra support so that you walk hands-free. Good posture in this context refers to stability. The design of the bag should not allow for yield lines or stretch marks which would make the bag lose its posture. If the bag is tall, it should have a built-in supporting structure to maintain its posture. Balance is also ideal for stability. A backpack should be symmetrical. If it’s not symmetrical one side will exert more force on the shoulder than the other and this would cause sores on that burdened shoulder. Your backpack of choice should be a stuff bag with high tensile strength. No matter how much the load stretches it, the bag should bear the weight over time. In short, a good backpack should be more of an enduring hike equipment. With this in mind, many bag companies have come up with different innovative concepts of backpacks. In this informative review, I share with you some tips on how to choose the right one and I also share with you a few backpacks which in my view are the best in the market as per 2018. So how do you settle on the ideal hiking bag? First, you’ll need to know what type of backpack would suit your needs. These are backpacks used for regular day to day activities like work or school. They can be the most effective solution for these activities. These bags come in a range of designs but are generally mid-sized to compact. They are lightweight and assures you of comfort whole day. It usually has a main compartment, zipped which houses the bulky items and this large compartment has an interior sleeve for your laptop. It also has other compartments for smaller items like pens, coins, wallets, bunch of keys and calculator depending on the design. If you carry your laptop often, go for a backpack which with these and if possible a padded one because the paddings will act like shock absorber to reduce the impacts of any knocks on the laptop. Many of the daypacks also have an additional compartment which though smaller than the primary compartment can be large enough to store your lunch or stuff packs of snacks or sandwiches. On many occasions, this secondary compartment often has some tertiary compartments or pockets for stuffing more items. However, if you have few things to carry, you don’t have to go for something complicated, a simple ‘’old school’’ version of the daypack can just be sufficient for your needs. The oldies will often have a single non-partitioned compartment for all your items. It all depends on your preferences. Like the daypacks, these bags are modern and have compartments and pockets. In addition to the modern aspects, they have a top handle besides the double shoulder straps. This handle will help you hold the bag when walking over short distances so you don’t have to carry it on your back all the times. There are times when the temperatures are high and the cargo on your back makes you sweat more, to prevent your top from soaking in sweat, you can carry the load on your hands. These handles can also help you if you want to carry three bags; you can carry one on your back and two on your hands. Even with the access bags, you should go for a padded on if you’ll be carrying your computer, the handle should be padded too lest it cause blisters on your palms. The shoulder straps on the access bags should be made of breathable materials just in case you have to carry it on your back for long durations. If you love hiking, these are the bags for you. Hiking backpacks are very attractive and convenient for all outdoor activities. This type of backpack is often larger than the other types of backpacks basically because they are designed to carry everything you will need while out there in the wilderness. They are also much stronger because they are made to bear more weight as compared to other bags. One thing that many hiking bags have which others don’t is an internal aluminum frame. The frame is contoured to give the backpack its shape and to support its long structure which would otherwise fail at the midpoint. They are also designed to offer uttermost comfort when trailing the rugged terrains of the wilderness. In most occasions, they also have waist belts to improve its stability so the bag won’t be swinging on your back as you walk. These hiking backpacks are made from either nylon, polyester, ripstop or ballistic and a good number of them are coated with TPU to aid water resistance. The unique feature about rolling backpacks is that they have wheels. They are good for carrying heavy cargo because you can drag it on its wheels all the way when you are tired carrying it. If you are planning on a family hike or a long business trip then this is the ideal bag for you. This piece can operate as a bag or as a suitcase. The good thing with suitcases is that you won’t feel the weight when you are dragging it so if you prefer pulling to carrying then look no further than this. Besides, you shouldn’t worry about bumps and potholes because the latest versions have shock absorbers and corner gourds to protect it against the shock. Love hunting? If you do then it good to know that there are bags out there custom-made for hunters. Hunting comes with a thrill and a satisfying feeling of being self-sufficient when it comes to finding game meat. Hunting backpacks are well designed and equipped for carrying hunting tools such as bow and firearms. Some even have a special pocket for carrying the meat you’ve hunted. They also have a built-in shooting platform so you can use the bag as a good platform for aiming and shooting at the game. Other features that these bags have are; hydration compatibilities, water bottle pockets, game meat pockets and water resistance. Waterproof backpacks are made for everyone. If you love hiking then your bag better be waterproof because you may not know when you’re going to cross a river, ride a boat or walk in the rain. Wherever your passion takes you to, a waterproof hiking backpack is a sure way to keep both your supplies and gears dry no matter how wet the environment is. This is a heavy duty bag, made of PVC tarpaulin water resistant material. 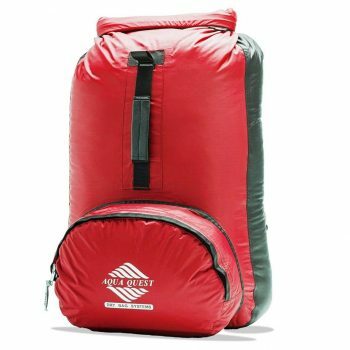 The bag is made of an extra thick material with high tensile strength to resist the weight of excursion supplies and tools. The bag has a deck-tuff molded bottom which is also water resistant. Other outstanding features include: A strong removable shoulder strap, two large compartments, two pockets, a pair of rob-tube strap, an easy to grip zippers made of rubber bumpers and two foam handles attached to neoprene knuckle guards. There are few heavy duty water resistant bags of this caliber. Chrome Excursion Pack come in three sizes; small, large and jumbo. If you love fishing during a hike the jumbo is for you. It is big enough to carry your fishing gears plus the catch. Even if it is immersed into water momentarily, the water resistant materials will keep water off from wetting your items. The Aqua Quest Himal Backpack is 100pc water proof; so you don’t have to worry about the weather. It will keep all your valuables dry even after a quick submersion. It is ultra-light, just 1.5 pounds, you’d probably forget that you’re carrying something on your back if it is empty. The back is comfortable on your back because the materials it is made of are soft. Like many Aqua Quest bags, this one is another impressive design for hikers and boat riders who love lightweight waterproof backpacks. One of its compartments is watertight so you won’t worry about water getting in and wetting your items even when it is submerged. The shoulder straps are adjustable, it is fully padded and fits comfortably on your back. When you are not using it you can fold the backpack into its front pocket. Ortlieb Velocity Backpack gives you enough room to store your food, gadgets and books in a large main compartment and cover it watertight using a Velcro closure. It also has smaller pockets to help you organize items like keys, money, phones and camera. Has a very comfortable padded shoulder straps, adjustable waist strap and a foam backing for good aeration. This is a perfect commuter backpack for all your needs. It is a very comfortable fit on the back with foam to ensure adequate ventilation. It is strong, durable and water repellant. If you want more visibility in the dark, go for the yellow shade. 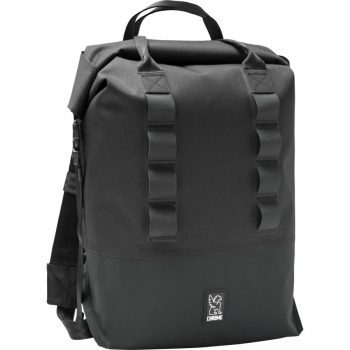 The SealLine Urban Backpack has a 100pc waterproof main component which is water tight. Its water-tight roll-down will give you an easy single-hand access to the main components. 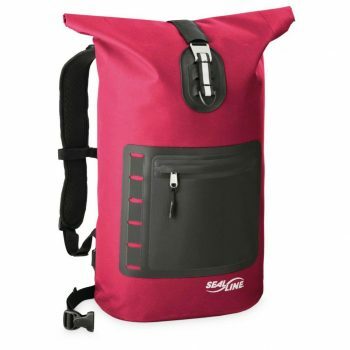 Its fully synthetic, has a large external pocket for easy access and quick storage. It also has a special outer pocket for your flash light, and a stiffer panes for uttermost comfort on your back. If you love rough bike rides with your laptop then this could be the backpack you are looking for. Sealine is a fully waterproof laptop backpack that tightly but comfortably fits on your back for a wild ride. It was made with riders in mind. With this, you won’t be worried about you laptop when it rains during a ride because the water just won’t reach the laptop. It’s river-bag technology at its best. Velo Transit Edge Pro Backpack is a completely waterproof backpack with a sonic-welded liner to completely protect its interior. It comes with a beautiful laptop pouch and Evazote closed-cell foam which absorbs vibration and impact to protect your laptop within. In addition, it has ergonomic shoulder pads to increase comfort and reduce load shifting. The bags side and front panels have MOLLE attachment webbing for a series of multiple pockets and accessories holders to choose from. This backpack is one laptop bag of a kind. It can also serve as a commuter pack. Its nylon exterior panels are very durable, waterproof, a welded liner and very flexible. The bag’s uniquely designed harness system will keep your laptop and other belonging dry and secure. The bag is efficient in carrying all of your essentials- besides; its multiple pockets are there to keep other accessories like gloves and other electronics in separate sections to avoid mix ups. Aqua Quest Stylin Backpack is a 100% waterproof backpack to keep your valuables safe from rain, or other adverse weather. It’s a lightweight bag weighing only 1.9 lbs. The bag’s contoured and adjustable shoulder rests enhance comfort- additional chest and hip straps are designed to fit your body shape. This is a versatile bag- no problem encountered in keeping your wet and dirty stuff apart from the main section! You also have an option of selecting a fully reflective front panel to help keep you safe around traffic. 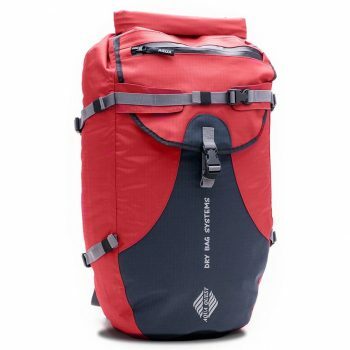 If you have a keen interest in bike riding or hiking, this backpack will prove to be the best back pack for you. Its high-density foam back panel also increases support, improves reflectivity to increase road safety. This is the kind of back pack you are going to need as you head to work, school, beach, vacation, or into the backcountry. The bag will ensure you get there and back with ultimate comfort, function, and style! 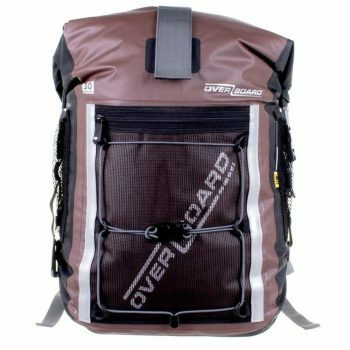 OverBoard Pro-Sport Backpack is a completely waterproof backpack which floats safely even when dropped in water. It is made of durable material both on the inside and the base. 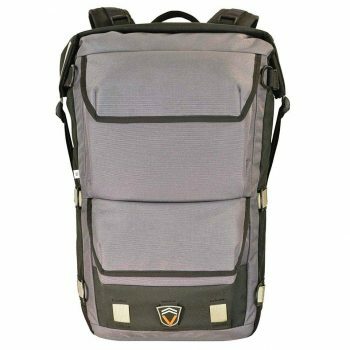 It has padded shoulder straps and lumbar support to enhance your comfort even when carrying heavy load in the bag. It also has 2 reflective strips on the shoulder straps to improve your visibility when encountering traffic in the dark. A top carry handle makes the portability of the backpack completely easy. 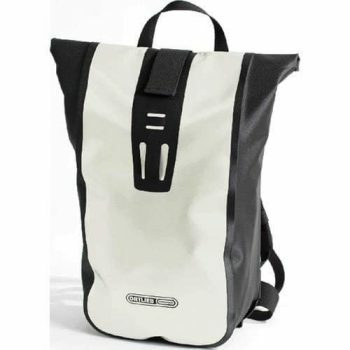 This bag is perfect for carrying your stuff when involved in water sports or any other kind of activities. It is very capable of protecting your gear from water, sand, dirt and dust and adverse weather. If you are in need on a classy bag that is going to be efficient for you on a wet sports’ tracks, this is for you. There are many types of backpacks in the market. So many that you will be spoilt when it comes to choices. I hope that the information in this post has helped you know the types of backpacks and the best waterproof packs for your outdoor activities. In case you have any questions feel free to ask us via the comment box. Let us know what your favorite backpacks are.